FREE * FAIR * FOR EVERYTHING. It’s been a long, hard, time-consuming and often lonely campaign. I have, as they say, been there, done it, got the T Shirt. Over recent years, especially after the APPG EBE Inquiry into ‘Quality of New Homes in England’ published their report on 13 July 2016, the house building industry has had ample time to change its focus and priority towards their customers and improve the overall quality of homes they are building. They have failed to do so, whatever the industry’s in-house surveys “to provide data to rebut negativity” may indicate, as more and more new home buyers are forced out of their homes to enable serious, often structural remedial works to take place. 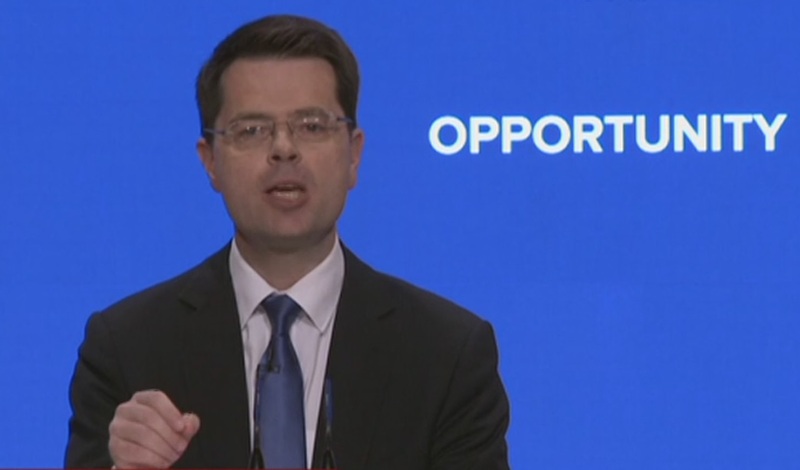 So I was delighted to hear James Brokenshire’s announcement on Monday that a statutory new homes ombudsman is to be created, with legislation requiring all developers and housebuilders to belong to the new homes ombudsman. This follows the government’s consultation earlier this year on consumer redress in the housing market which closed on 16 April – the feedback report still yet to be published. This will help ensure consumers buying new homes will have an independent and legally backed route of redress against developers who do not deliver what they promise. “We are creating a New Homes Ombudsman to protect consumers and give them confidence that when things are not right in their new home they have a route of redress. This will also discourage developers from cutting corners and putting unfinished homes on the market. Our plans will help to ensure that new-home owners have better rights and everyone has a great place to live and raise a family. According the Home Builder’s Federation [HBF] and the NHBC, 99% of new homebuyers report snags or bigger defects after moving in. Developers have been found to put homes on the market which are incomplete, with issues such as wet paint, poorly fitted doors and other defects. Whilst most developers do resolve issues there is no standard order of priority, meaning a consumer does not know if it will take one day or three months to resolve a problem, irrespective of how serious it is. Having paid a significant sum of money to buy your home it can be stressful and deeply frustrating to deal with issues which most people would assume have been resolved through the building process. But make no mistake, this is the most significant positive step change for new homebuyers in the last 53 years. The NHBC was formed in 1936, beginning its life as the Housing Improvement Association, established by a group of builders with the object of giving homeowners a fair deal at a time when “jerry building” was a national concern. Some buyers would argue nothing has changed! Later, in response to the growing concerns of the Building Societies Association, the ten-year structural warranty was introduced in 1965. The government and the then minister Sajid Javid, had previously indicated a preference for one single ombudsman for the entire housing sector, encompassing new homes, social housing, private sales and lettings. It seems unlikely that the statutory New Homes Ombudsman would have been announced if a single Housing Ombudsman was still part of Government plans. The New Homes Ombudsman will support homebuyers facing problems with their newly built home, protecting the interests of new homebuyers and holding developers to account when things go wrong. I would like to thank the many MPs and new homebuyers who have supported my campaign, who, together with the national press, have brought the issue of poor quality new homes and the need for a statutory new homes ombudsman to the forefront. I am however surprised that none of the national press have covered this announcement. It is a great personal satisfaction to me that I have effected change for the betterment of all new homeowners. It is to be hoped that the new statutory new homes ombudsman will be 100% independent of industry interference and influence. Obviously, the ‘devil will be in the detail’. I now await the publication of the feedback response from the Government Consultation ‘Strengthening consumer redress in housing market’ which closed on 16 April 2018. The government confirmed it “will work with consumers and industry to develop our proposals and publish more details in due course.” Why? 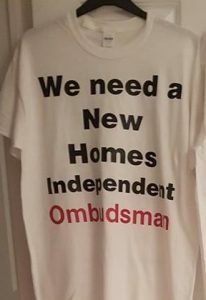 There is no need, the consultation has been done, the responses are in, there has even been an APPG Inquiry into the “potential and detail” of a new homes ombudsman would work! In the meantime, government expects industry to continue to improve the current redress arrangements and improve the consistency of quality for new build homes. Most new homebuyers asked me when the new homes ombudsman will be operational. I think the next announcement should include a timescale which I suggest should be “by 2020” at the latest. This entry was posted in New Homes. Bookmark the permalink.